I have a couple of blog post recommendations for you. 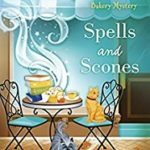 First is this humor post from Jenny Sundstedt, a local author and active member of Northern Colorado Writers. The post is on the Hot Chocolate Press website’s blog. 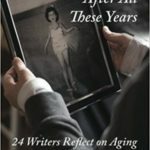 Jenny is the co-author with Kerrie Flanagan of Write Away: A Year of Musing and Motivation for Writers. Who Needs Iceland?- – – Stay Home This Summer! Second: This one is actually a recommendation to check out all the posts in the blog of Annette Snyder called 50 Authors from 50 States. 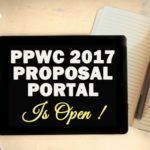 I love the idea behind this blog. The most recent post is from Sally Franklin Christie in Montana. Tomorrow I wrap up a month of excellent guest articles from local authors (Northern Colorado) with Jennifer Goble’s post on writing personal stories. If you scroll back through June, you’ll find guest appearances on Mondays and Thursdays with only a few posts by me. Next month I’ll return to my guests-on-Thursday schedule and write more of my own material. I’ll try not to be boring so I can live up to the fine example my guest bloggers set. 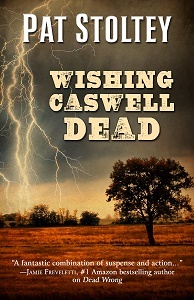 I’m pleased to announce I’ve signed a contract with Five Star/Cengage for my historical mystery Wishing Caswell Dead. This novel is set in central Illinois in the 1830s in the fictitious Village of Sangamon. It’s tentatively scheduled for release in November 2017. 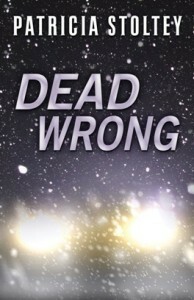 Watch for announcements for hardcover giveaways on Goodreads coming soon. 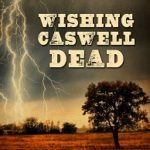 At different times I’ll give away copies of the two amateur sleuth mysteries The Prairie Grass Murders and The Desert Hedge Murders as well as the standalone thriller Dead Wrong. Our two crazy critters are getting along better and better. A few weeks ago, Sassy would try to chase Katie away when she was getting petted or scratched by one of her humans. The relationship has now progressed to the point where Sassy just gets as close as possible to the action, sometimes with her muzzle planted against Katie’s soft fur, while Katie stays put and purrs. Katie also now strolls across a room where Sassy can see her and is relatively confident Sassy won’t chase. Before, Katie tiptoed in slow motion when the dog was nearby. Of course, sometimes Katie provokes a chase by dashing across a room at top speed. Sassy is very accommodating, but she’s not as fast as the cat so it’s not unusual to see her charge down the hall, thinking she’s in hot pursuit when the cat has actually hidden behind the couch or in her tower. You can almost see Katie laughing at Sassy as she continues scrambling through the house trying to find the cat. Maybe someday I’ll have the camera right where I need it so I can get a few shots of the action. Hearty congrats on the contract, Pat! The title is certainly intriguing, and I know, from your other books I’ve read, that it’ll be very entertaining! Thanks, Janet! At least this time I have a title that doesn’t get any hits when I do a search on Amazon.com — I neglected to do that with Dead Wrong and just look at how many books there are out there with that title. Trying to catch moving pets on film is almost impossible. I remember when we first got Katie Cat — she was four months old and constantly on the move. I had the camera trained on her as often as possible, but mostly got tail pictures as she ran past on her way to the next new adventure. Congratulations on signing the contract. Knowing Katie, it is a game she knows Sassy can’t win. Thanks, Alex! And yes, Katie acts pretty savvy about the whole thing. It took her awhile to study the dog and its behavior, plus the new routine, but Katie has it (and all of us) under control now. Congratulations on the book contract, Pat!! I’m really excited for you! And it’s good to hear, too, that Sassy and Katie are doing well and developing a good relationship. All great news. Thanks, Margot! I really am excited about the book — this one took a long time to feel just right, and another long time to find a home. When Five Star created their Frontier Fiction line, I finally had hope. Serendipity, I think.